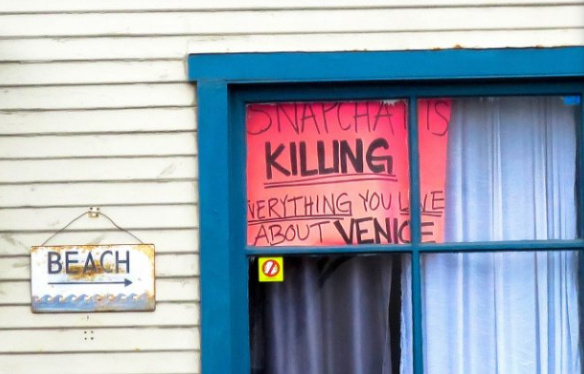 A sign protesting Snapchat is displayed in a window in Venice. Snapchat is a locally grown success story that came out of a small Venice beach house seven years ago. But Snap -- the parent company of the popular messaging app -- has grown so big it's gobbled up real estate all over the neighborhood. For some of the people who live in the area, the company's success has become a headache, prompting a movement that has seen protesters occasionally pop up near Snap-owned buildings. 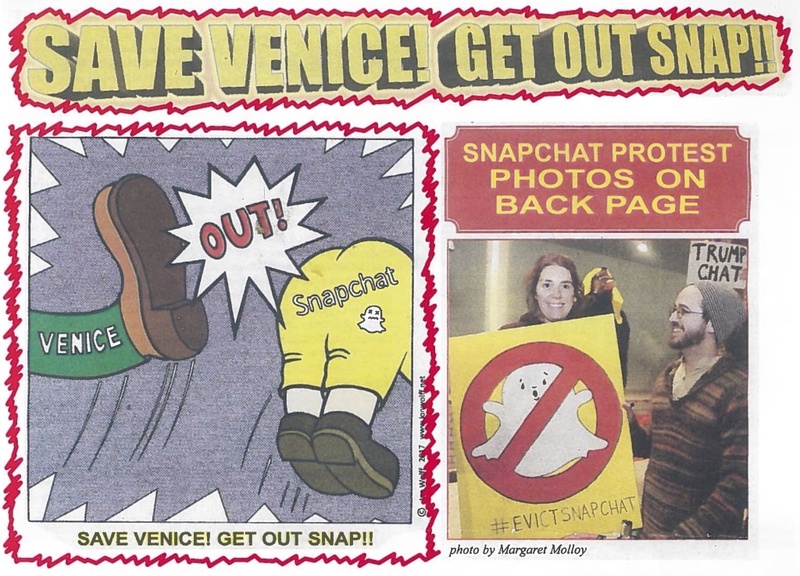 These images were taken from a flyer being handed out on the Venice boardwalk near Snapchat's former headquarters. But the tides have turned. The company recently announced it's moving half of its employees out of the area by the end of this year and relocating them to its Santa Monica campus. Snap has struggled lately, recording a $720 million loss in 2017, though it doesn't attribute the move to a financial decision. 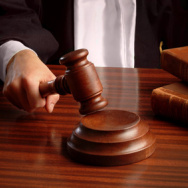 Last fall it mentioned transition plans to make Santa Monica its new headquarters. This unmarked building in Venice is one of several that make up the headquarters of Snap, the parent company of Snapchat. There is no love lost among some people in Venice. "They're basically culture vultures," says Gavin Dogan, owner of the men's store General Admission. "They basically came to Venice to be a part of the Venice culture, but in a sense they partially destroyed a part of it." Dogan says he saw many of his neighbors pushed out by rising rents, and himself crowded out of his favorite restaurants and bars by hordes of Snap employees. "You don't need to build a corporate campus in a quiet, beach Bohemian community," he says, "spread out with golf carts running all over the place and security guards trailing employees." 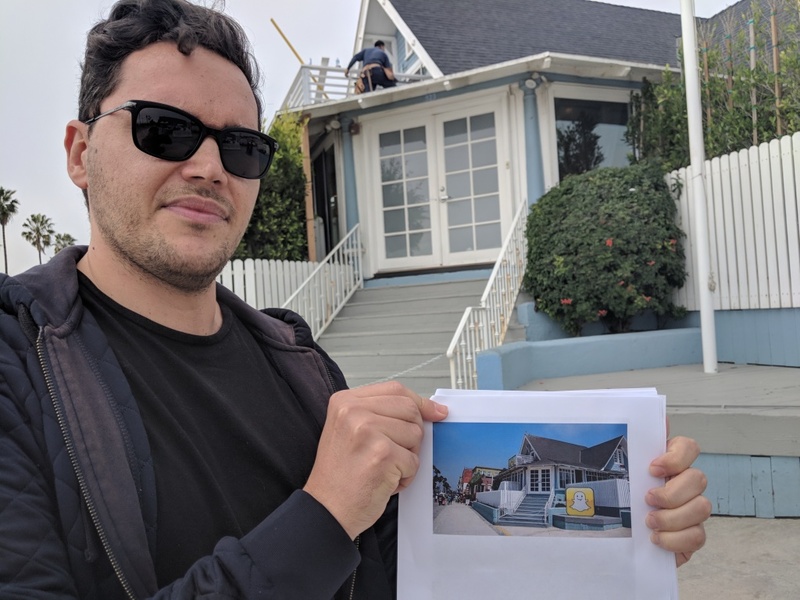 Photographer Robert Lang shows a picture he took of Snapchat's former HQ, a bungalow on the Venice boardwalk. Today, the same place is shuttered with no signs that Snapchat ever used this as an office. Photographer Robert Lang met many more people like Dogan in the course of his project 11:11, which captured Venice as it changed during Snap's ascent. He noticed that despite other tech companies nearby, most people targeted Snap for their anger. "They're the ones taking over the majority of the beach," he says. But others, he says, were better neighbors to Venice. "Google came in and worked with the people and the community." Other businesses were disappointed to hear Snap would shrink. Extra customers boosted sales, especially since the company worked with some businesses to create a "benefits card" where employees could get free or discounted food. 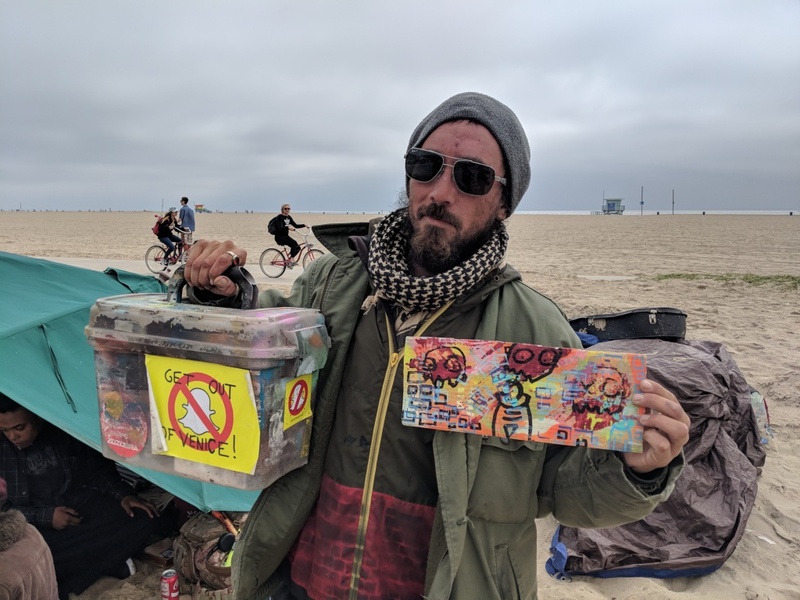 Street artist Reed Segovia holds up some of his art, as well as a sticker protesting Snap's presence in Venice. And Va Lecia Adams Kellum with St. Joseph Center liked how Snap worked with her non-profit to help local poor and homeless people. "We would always like to take a picture and post and make people aware of Snap's generosity," she says, but the company kept a low profile about its work. "People in the community don't realize how generous they've been." 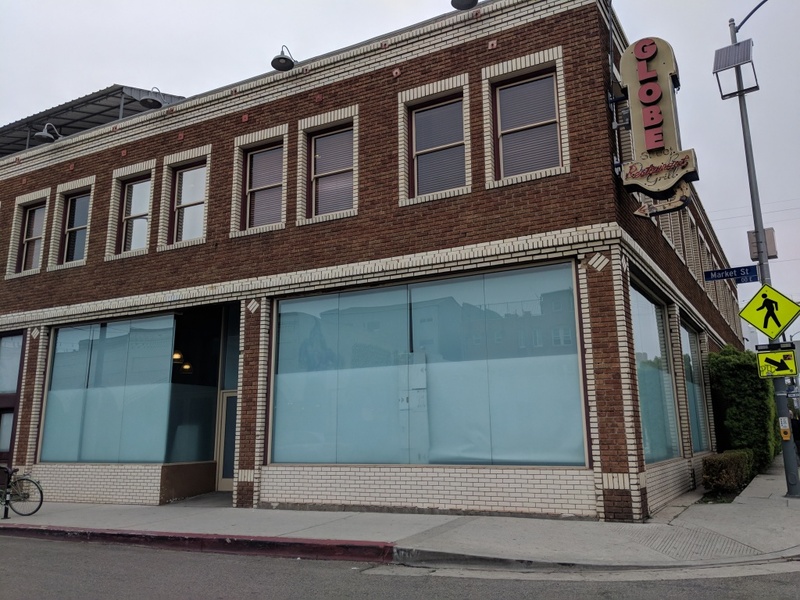 But with Snap's shrinking footprint in Venice, there is some hemming and hawing about the future of the neighborhood. "A part of what they've done has potentially, permanently changed things," says business owner Gavin Dogan. "Change was inevitable in Venice. 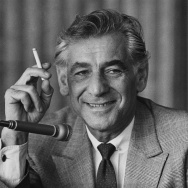 Tech was moving here before Snapchat came here." It may be unclear whether locals believe that the "old" Venice, pre-Snapchat, can return. 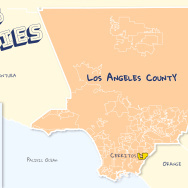 But some think that the Bohemian spirit of the area is too strong to be in the shadow of Silicon Beach again.